Matthew Micetic opened his new storefront in FoPo JUST IN TIME for the 2017 holiday gift giving season. Matthew is a graduate of PCC's Small Business Development Center Retail Small Business Management Class. Matthew shares his story below. 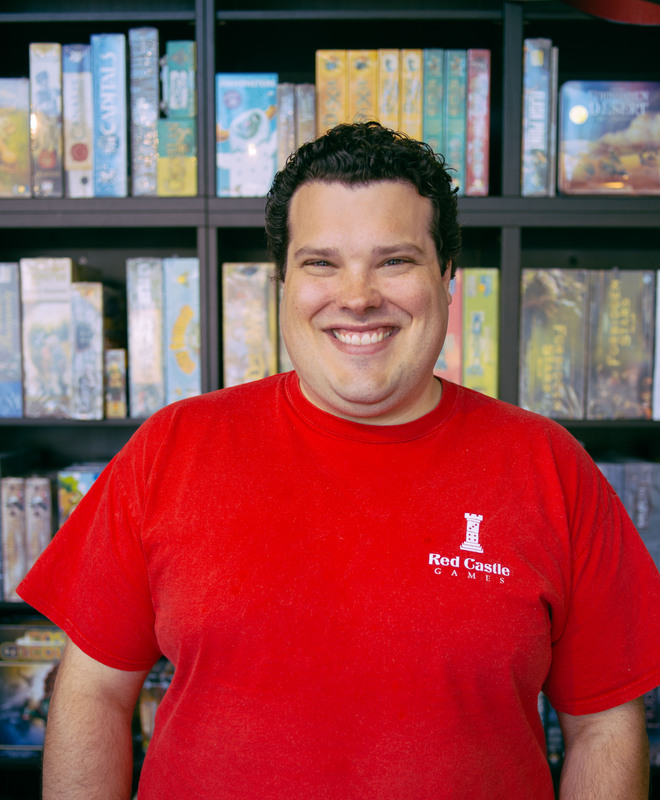 Red Castle Games is a local game store located in SE Portland. 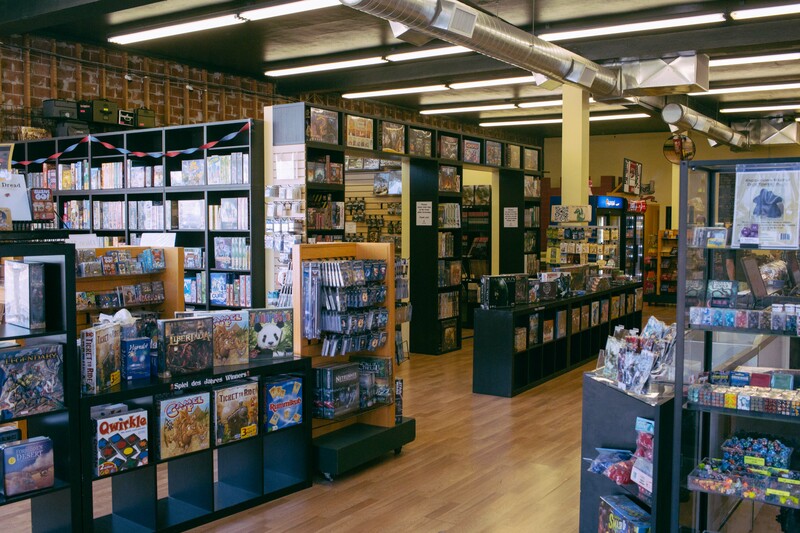 They specialize in board games, card games, role playing games, & tabletop miniatures games. What inspired you to start your business? When the recession hit, I knew it was time for a change. Commercial rent was so cheap that a friend and I turned our constant joke about opening a game store into reality. Games were an underserved market in SE Portland and an opportunity was there to serve an evolving neighborhood. Before coming to the SBDC what challenges were you facing in your business? Low profitability, challenging customers, and a general fear that made me say “yes” far too often. What types of services did you receive and/or in which programs did you participate? I’ve taken Small Business Management (SBM), Advanced SBM classes, and Retail Business Builders, I've received advising and had multiple meetings with SBDC experts. I also took the Profit Mastery class where I learned how to use my fanancial report to make business decisions and grow my business. How has the services or programs helped you overcome your challenges? The SBDC’s program and counselling have helped me weather the storms of small business ownership. Without the invaluable mentorship and counselling of my advisor, Leslie Hildula, I am certain that my business would have failed. I was pushed to do better, charge what I was worth, and look at the big picture rather than get bogged down in employee issues, shrink concerns, or whatever drama of the day a customer brought in. She kept me moving forward and making progress. What have you done differently in your business since working with the SBDC? The biggest single improvement that the SBDC and its classes have pushed me towards was to work on a strategic rather than tactical level. Stepping back from the day to day allowed me to look at my goals and assess how to achieve them. How is your business doing now? At Red Castle we are in the closing phase of a commercial building purchase. Once we are building equity, we can truly get ahead and began to look at additional locations. Year over year sales growth is currently 8% year to date. What would you say to other small business owners thinking of working with the SBDC? The SBDC has been an invaluable piece of my continued success. The continued learning and networking opportunities have allowed me to become the success I am today. The time you spend with the SBDC will be a great investment in the future of you and your business.